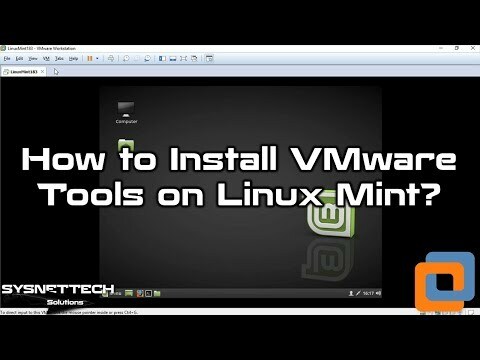 This video shows you how to install VMware Tools on a Linux Mint virtual machine installed on the VMware Workstation 15/14 Pro virtualization program. NOTE: Follow this video tutorial to install VMware Tools for Mint on VMware Workstation 15.0.4 Pro. Step 1: Install Linux Mint 19.1 / 18 on VM Workstation 14.1.1 Pro. Step 2: Run Mint 19.1 / 18 for VMware Tools installation. Step 3: Run Terminal on Linux system. Step 4: Run the following command to check that the virtual machine is connected to the Internet. Step 5: Run the following command to update the software packages. Step 6: Type in your root password for the Sudo apt-get update command and press Enter. Step 7: Run the following command to download and install VM Tools on VMware. Step 8: After installing VM Tools, run the following command to restart the virtual machine. Step 9: Click View / Fit Guest Now to check if VMware Tools is running on Mint. Step 10: You can now transfer files between the host computer and the Mint virtual machine.